Our most frequently used profile bits are specifically coordinated so you always have exactly what you need on hand. These profile set includes 6 pieces. 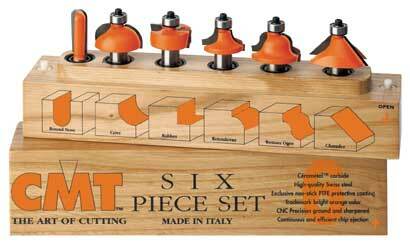 Select the one that best suits your woodworking needs. Organized together in a specially designed Italian hardwood case for safe storage when not in use.